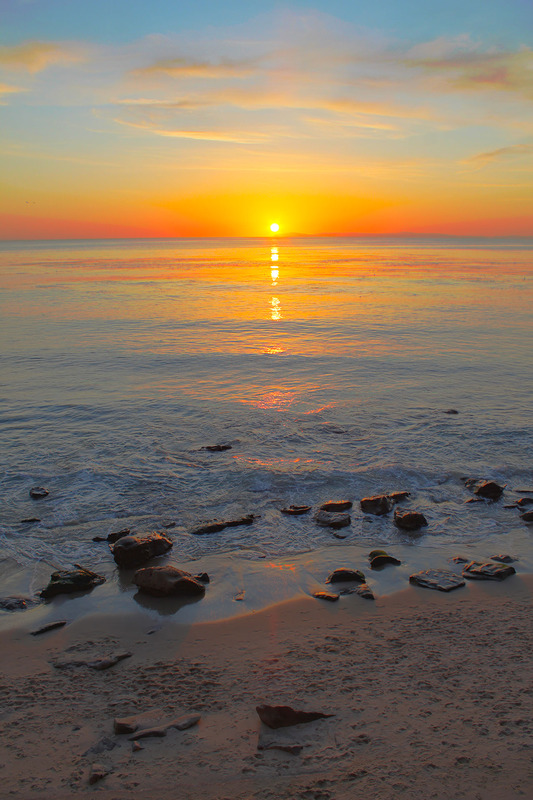 Laguna Beach, and the surrounding Orange County areas, is the reason my husband and I moved across the continent. There are quaint shops, delicious restaurants, art galleries, beachfront beauty, year-round sunshine, and friendly people that remind me of eastern Canada. Sunset Cove Villas, located directly on the beach and minutes from the heart of downtown, are ideally situated to take full advantage of these benefits. 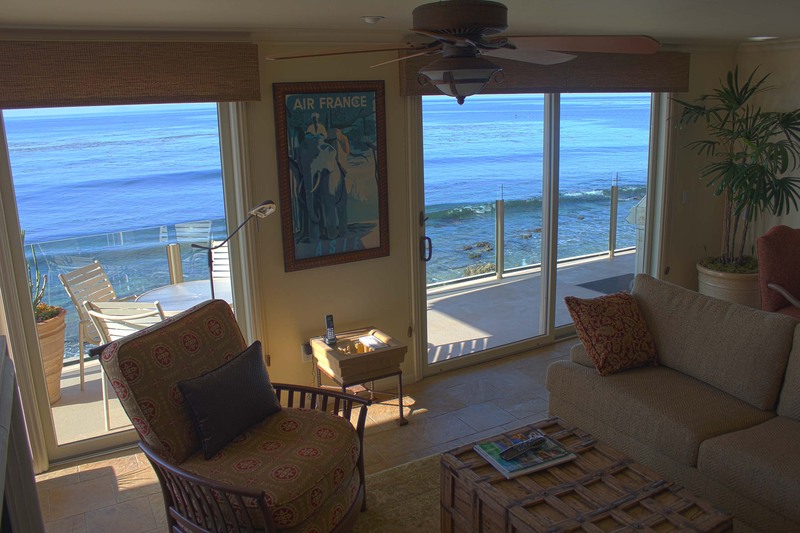 Rising directly above Laguna Beach’s dramatic coastline, one of the most desirable beaches on the California coast, Sunset Cove Villas face the majestic beauty of the Pacific Ocean, creating a picturesque setting and romantic atmosphere. 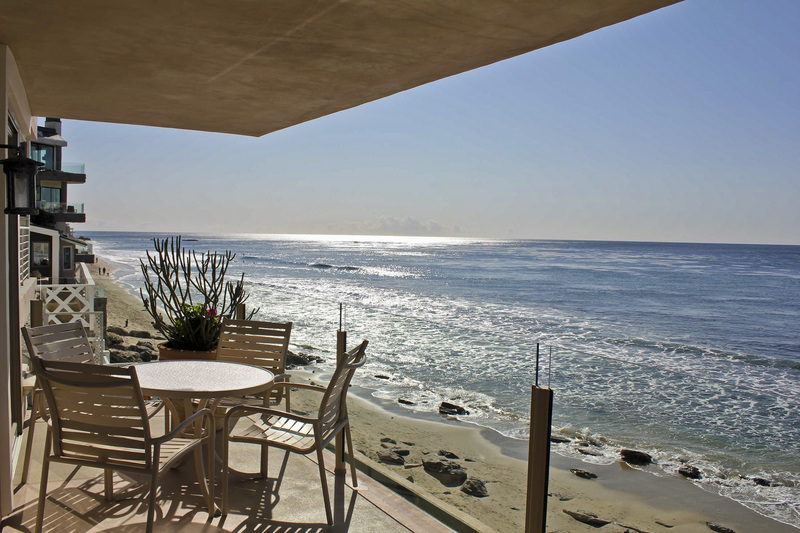 The crashing waves, white sand, spectacular sunsets, and gentle breezes make a stay at Sunset Cove Villas priceless. What nature has not graciously provided, the owners of Sunset Cove Villas have; luxury, ample amenities, and attention to every detail are all part of the Villa experience at Sunset Cove. 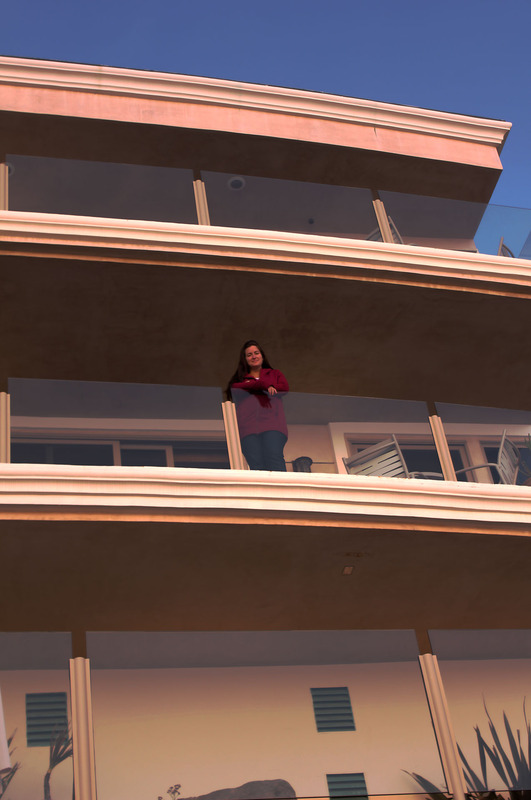 I’ve stayed in hotels in 33 countries and countless cities, but none have compared to the 180 degree view of the ocean I experienced while waking up at Sunset Cove Villas. With a balcony on the water and access to the ocean just footsteps away, our Seychelles Villa was the kind of oceanside experience I’d associated with Southern California living, but had yet to attain. I finally soaked up the chance to spend some time living my California dream. We arrived on Friday evening to a private garage parking spot reserved specifically for us. We were given our own garage remote to come and go as we pleased, without concerning ourselves over hours of operation or others watching our every move. 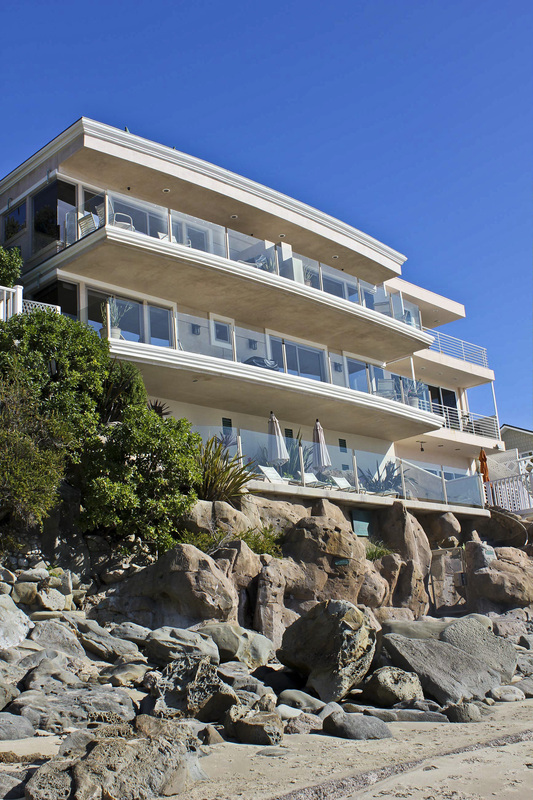 In the busy traffic that congests Laguna Beach, it instantly created a relaxed atmosphere and welcomed us to our getaway. We entered the property across a quaint patio, down a few stairs and past a lush fountain area to the door of the Seychelles Villa. 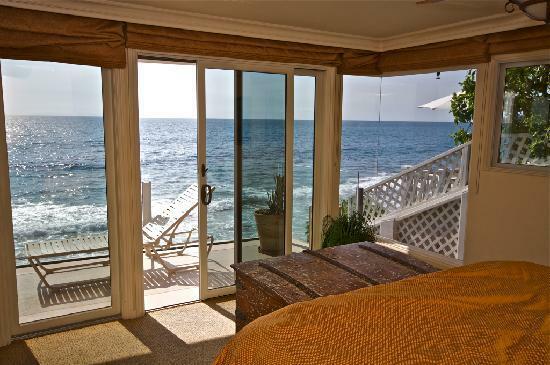 Upon entering, we were greeted with breezes off of the ocean right away. 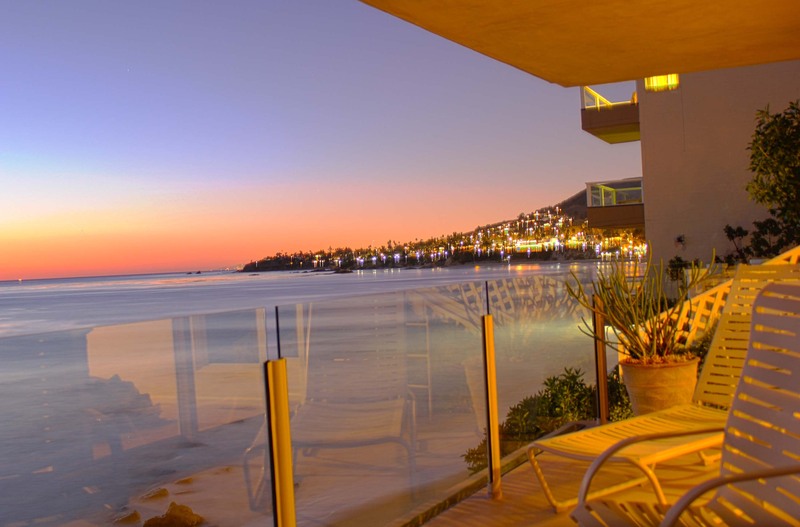 The staff had set up the villa for our arrival and the balcony door was open reminding us, from our very first impression, that Sunset Cove Villas focuses on the Pacific Ocean. Walking through the villa, we found complimentary coffee and filters, along with a full-sized coffee maker, beautifully decorated and wrapped soaps, a restaurant guide with a brief description and the full menus of local dining establishments, a perfumed candle made locally, separate satellite television receivers in each room, along with a master-bedroom television that remotely hid in a chest at the foot of the bed, jet bath tubs, universal remotes for the electronic entertainment, Wi-Fi and dedicated data-communications lines, extremely comfortable and highly maintained rooms, plush materials and furniture, monogrammed linens, and an at-home setting. The fully-supplied kitchen, island, and living room were combined in an open room with floor to ceiling windows to the balcony. Of the greatest import, the open-aired room had a commanding view of the picturesque sunsets that I’d only imagined possible in enhanced, edited photos. My first-ever sunrise, and one of my Yearly Bucket List items, was a serene, dream-like affair with the cool, morning ocean breeze and the hushed lull of waves crashing on the shores. 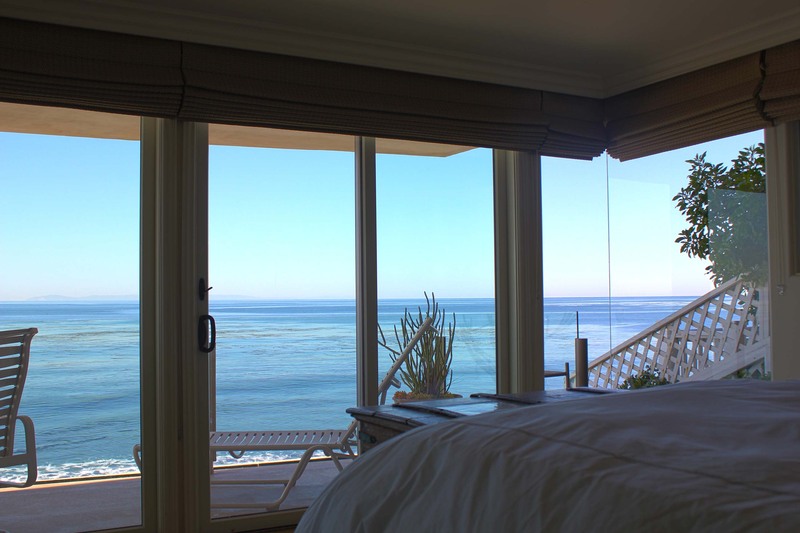 My husband and I found comfort in the cloud-like bed and the array of natural beauties that filled our surroundings. While the rest of the world moved at a frantic pace, we reveled in an air of unhurried leisure and tranquility. The balcony, set up with glass panel railings to allow a pristine view of the ocean, is where we spent most of our time while at the villa. It had a table, chairs, and loungers as well as a barbecue where we made our dinners. The full grocery store about a hundred yards away from the villas allowed us to choose our favorite foods and prepare our own romantic meals. While the restaurants in Laguna Beach are fantastic, it was romantic to be able to dine above the ocean in a private setting. Granite countertops, high-end appliances, and every pot, pan, and utensil we needed made the entire dining experience easy. Many great art galleries and shops are within walking distance of the villas and The Sawdust Winter Fantasy fair offered us the opportunity to purchase unique artisan crafts from various local artists. 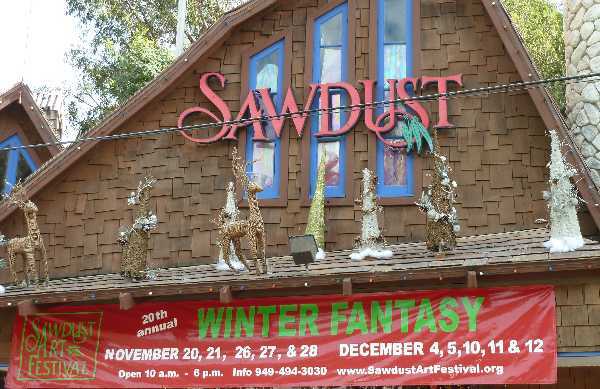 With live entertainment, hands-on art projects, and picture-perfect moments, the Sawdust Art Festival’s Winter Fantasy was an unexpected treat during our evening walk. 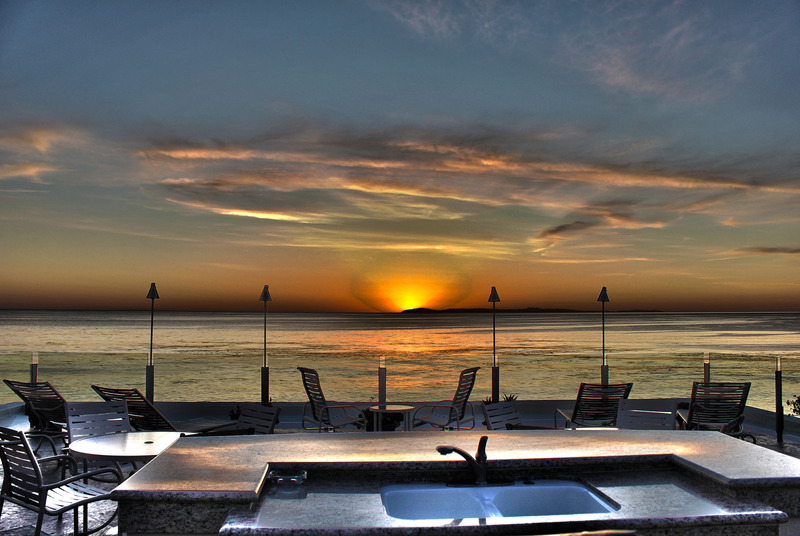 the Sunset Cove Villas offer a fantastic local getaway. Whether you’re seeking a romantic retreat, a family adventure, or an exclusive yet down-to-earth place to call home, Sunset Cove Villas offer something special for everyone. We found a priceless, relaxing retreat to bring back some romance before our baby girl arrives. This entry was posted in all-inclusive, Beaches, Bucket List, California, California Getaways, culture, Dining, Food, Getaways, Laguna Beach, landscape, life, love, Luxury Travel, Outdoors, Photo, Photography, Reviews, Travel, Uncategorized, USA, vacation and tagged all-inclusive, beaches, bucket list, California, culture, Family, Getaways, Hotel, Hotel Reviews, Hotels, Laguna Beach, landscape, life, love, photo, photography, Retreat, southern California, travel, USA, vacation, Villas by lesleycarter. Bookmark the permalink. wow those pictures are stunning! Looks AWESOME and so dreamy! I love Laguna Beach myself but am partial to Carlsbad (my hometown) about thirty minutes drive south of there! You should check it out! I’ve driven through Carlsbad but I haven’t spent any time there. Is there a place or activity you’d suggest? Thank you! It was the most spectacular view I’d ever experienced. Beautiful resort! The sunsets are gorgeous. I felt like I was in a movie. I’d never had such a surreal experience. Sunset Cove Villas are the perfect getaway. It certainly looks like a lovely place to go and relax. Love the photos. You pictures are great! Definitely makes me want to go there someday!! Lesley, your photos are so spectacular! I lived on the island of Crete when I was a teenager, and your pictures remind me of how much I love the ocean and miss it. Thank you, too, for visiting my blog and liking my Freezing in Arizona post. 🙂 I hope you are enjoying your pregnancy and the anticipation of parenthood. You are right — it will be an adventure of a different kind! I visited Crete during my European backpacking vacation. What an amazing place with unparalleled beauty. If you return, you should check out Sunset Cove Villas. It’s the perfect romantic hideaway. Wow Leslie those pics are beautiful!!! Thank you! It was the beautiful setting that was amazing! Looks like a great place to watch the sunset. You seem to be a living a dream…how nice! The pictures are fantastic, and your description of the experience made feel so relaxed. 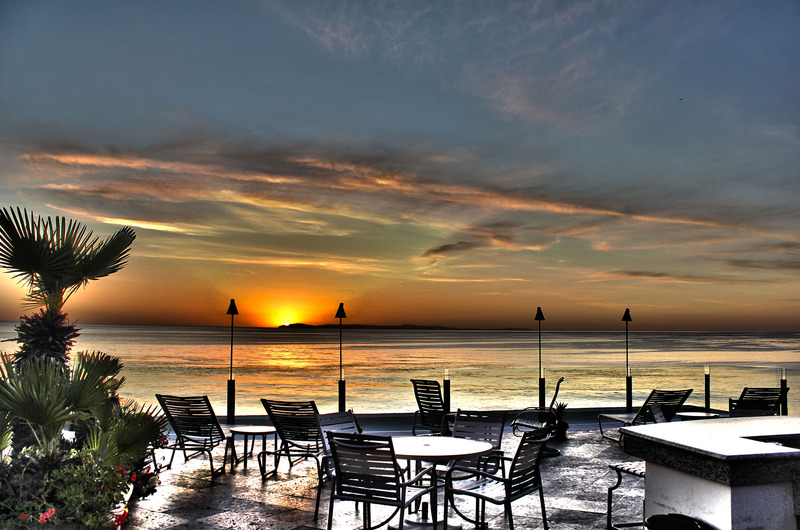 Pull up a chair, get some vino and watch the sunsets! The featured image from this post is legit! The sun just creeping past the horizon, stellar photography! My husband took that photo, but it’s a HDR photo-merge. What an amazing adventure!! I love the pics and anywhere with an ocean view is heaven! Have you been to Alaska yet or Oregon? Don’t know if you like the cold, but pretty there too! I’ll have to keep exploring your blog to see where you’ve gone. Just had to comment first! 🙂 Take care! What I like about this place is that you don’t have to go far to find paradise. Beautiful place. Great photos they make me want to pack my bags. Just one more stop on your world travels, Cat. It’s about 30 minutes from me! Beautimous! It’s not nearly as nice in NoCal… it’s f*cking cold! I miss the beach. I surf down at Surfside in the Gulf Coast, but the water at Laguna looks a little bluer. Great pics! Gorgeous sunsets!! Love these images! Cheers! Simply marvelous! Soothing to eyes and comforting to art! Going through them is like having a spiritual journey! The view from the apartment is amazing – wow! Fantastic review, Lesley..and those sunsets?!? WOW! Love those nights when the most important decision is red, white, or Prosecco! Beautiful and awesome photos 🙂 Breathtaking! Gorgeous photos! It must have been a wonderful retreat. It makes me wish I was there now! Thank you for liking my post! I really enjoyed your blog as well! Hope you will follow me on my way, lots of love to you! Love, Karin! Your daughter is going to be one very lucky little girl to be born into your world. What part of Orange County? I live in Laguna Hills and it is everything I imagined. I’m happy that my daughter will grow up here surrounded by opportunity. I absolutely adore to travel, I commend you on your positive attitude toward your pregnancy and not seeing it as a detrimental kink in your adventures. I would not be able to do it. ^_^ I enjoy my freedom far too much, but I also have not yet had a fraction of the adventures that you have! I’ve travelled all over the US (45 out of 50 so far), and took my first overseas trip last year to London (and of course plan on MANY more of these trips someday), but theres just SO SO SO much more I want to do. Methinks I’m simply too selfish for children. ^_^ Congrats to you! Your pictures are just SO amazing, I have a thing for watching the sunrise so those were by fay my favorite pics. There’s nothing I wouldn’t do to live in a warm, gorgeous, beach-encompassed environment but alas, I doubt I will ever have that kind of money. So I’m stuck in the snowy, gloomy Midwest, hehe. But I will visit the beaches! Oh yes yes I will! Often! At least the sun is out today, its making me so happy! I haven’t really counted how many US sates I’ve visited but I drove across the country from Maine to North Dakota and from Maine to California. I also visited Alaska a few months ago. I think that must equal about 25 or so, but it’s never enough when you have the travel bug. Nothing makes me happier than the though of experiencing new cultures, countries, and adventures with my daughter and my husband at my side. I’ve had my share of solo travel and now I’m ready to experience family adventures and excitement. Good luck with your travels and I hope the world is at your doorstep. I wish I could say that I’ve stayed at hotels on ANY continent. But no, I can’t. Instead, I travel with a freaking tent and sleep in rock caves, snow caves, hostels on occasion, and, most normally, a tent. dangit. jealous. I had many nights in a tent, in a car on the side of the road, in hostels, and even in a whiskey brewery parking lot on the ground. Now that I’m 6 months pregnant, it’s becoming more and more difficult to sleep in random places but I hope to share those crazy adventures with my daughter and my husband by my side when she’s old enough. Hey thanks for like. Its kind of new (I don’t actually have a post yet) but check out my other bolg: http://bikurup.wordpress.com/ You’ll get the idea and hopefully come back to it :-). Traveling is awesome and I can’t wait to do more of it. We use a Canon T2i and love it! Thats some nice pic’s you have. Thanks for liking one of my blog posts. I checked out your blog and noticed you are from Nova Scotia. I grew up in Truro, have lived in Ontario but now based in Moncton, NB. Is your maiden name Boutilier? My aunt Jean (now deceased) married a Boutilier from the eastern shore area of NS. Your pics of southern California are amazing… I was in Newport Beach a few years back and loved it although it was rainy and chilly at the time (February). It’s too bad that it was rainy and chilly while you were here because that’s very rare in Orange County. Hopefully you’ll return someday and experience the beautiful weather that we have more of the year. Love Laguna Beach. Enjoy buying art every time I’m out there. very beautiful sunset pictures.. love it..
What a wonderful time you and your husband much have had. Even just reading about it and looking at your incredible photos has inspired me. wonderful photos. I would love to visit. 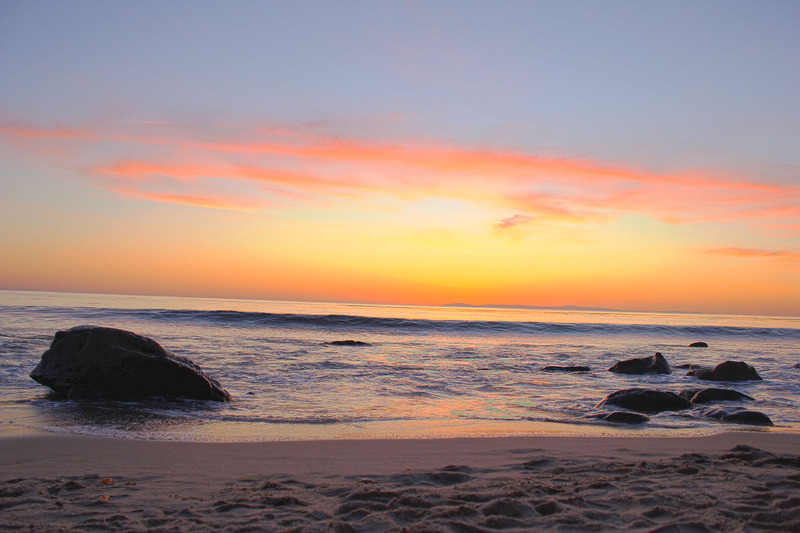 Laguna Beach is on my bucket list, looks beautiful! Wow. This place seems maginificant it has to be on my bucket list as well. This is just the kind of place I would look to go on a holiday and enjoy the idilic pleasures this world has to offer. Truly amazing and thank you so much for sharing this. So glad you are enjoying sunny SoCal! 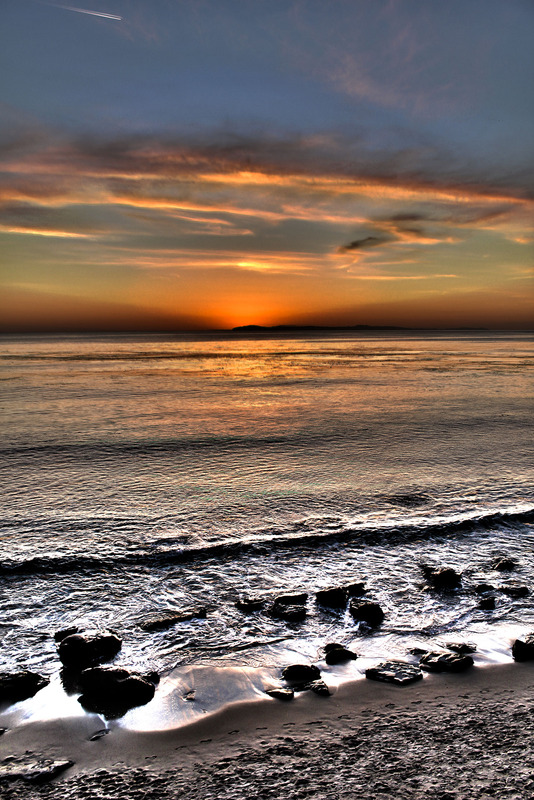 Your pictures make me want to go to Laguna all the time. We take it for granted that we live in a place with so much natural beauty and culture. 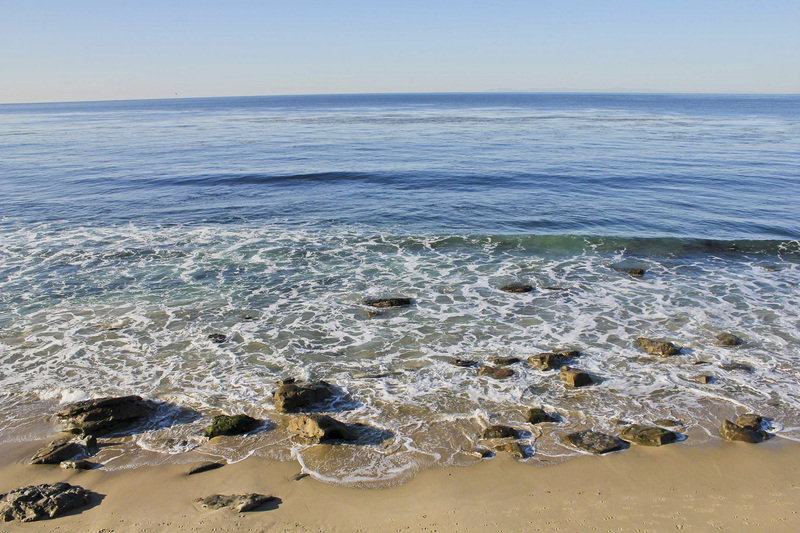 Have you been down to Crystal Cove? It’s one of my favorite places–very chill, not a lot of crowds. They have tide pools and a little restaurant on the beach. I’ve seen quite a few dolphins there too!